Is your aging loved one depending on you for his or her wellness decisions? That can be a daunting task and responsibility. There are many solutions today and numerous providers offering various types of senior care. As the responsible party, you have a great deal of information to sort through to determine the best choices for your loved one who is relying on you. Every community now has independent, assisted and skilled care solutions available, but in-home care or adult day care might be the favored solution, so the senior doesn’t feel forced to move. To make a wise decision, take time to understand the differences between in-home care and adult day care because it’s possible that the best answer for your situation is one of these simpler options. When senior care is provided in the home, the aging adult can stay comfortably at home, which is almost always the preference. Senior care can be provided at home so the adult ages in place with needed medical or non-medical care. When the aging adult just requires help with errands, some housekeeping, meal prep, or companionship, non-medical care is needed. When they need assistance with physical therapy, medication, or other skilled care, they need medical care assistance. In either case, the socialization provided can’t be overestimated as it’s so vital for both body and mind. An in-home visit a couple days a week to prevent social isolation might be enough for the aging loved one, or perhaps a mix of senior care at home with some time at an adult day care is better. What are the benefits of adult day care centers? 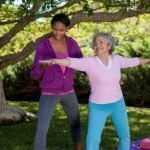 Adult day care centers can provide mental, physical, and social stimulation for aging loved ones, with exercise classes and social activities. There are some specialized senior care centers that can offer medical therapies and medication assistance, as well. If the center has hours that match you or your family’s needs, this may be a good solution. Are you looking for a customized solution for your loved one? Call your local Home Care Assistance office to ask about senior care options matching your unique needs. Our staff will offer you information on medical care, non-medical care, memory care, post-hospital care, or advanced care options available for you. 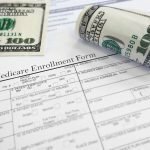 Does Medicare Cover My In-home Care?